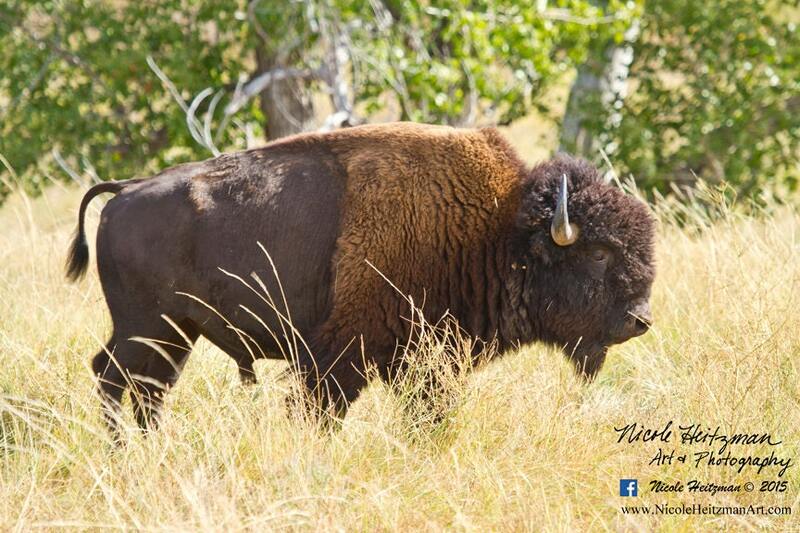 This South Dakota Autumn scene portrays the warm beauty of the Black Hills & the bison that live there. This large animal signifies the lost native lifestyle of years past. Artist and Photographer, Nicole Heitzman, captured this image on a beautiful fall day in Wind Cave National Park in Western South Dakota. This photo is infused to metal which offers a rich & vibrant appearance. It is 24" wide by 16" high.